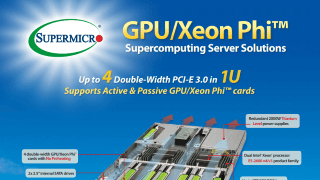 Xeon Phi™ Optimized Solutions | GPU/Coprocessor Solutions | Super Micro Computer, Inc.
Supermicro supports Intel® Coprocessor™ across a wide range of high-performance server and workstation product lines. 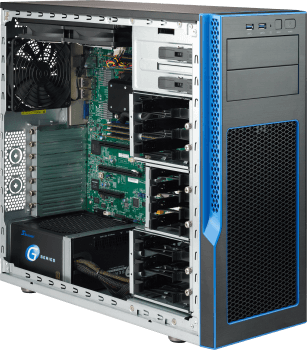 Supermicro's computing platforms achieve higher parallel processing capability with Intel's MIC (Many Integrated Core) architecture based processors. 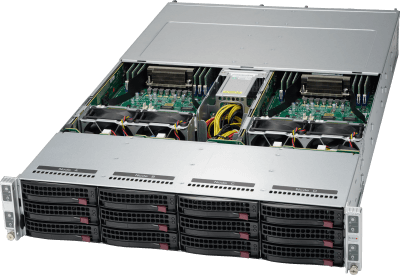 Unified with the latest Intel Coprocessor utilizing common instruction sets and parallel programming models, it is easier to port parallel computing applications in the hybrid environment and take advantage of the powerful processing resources of Supermicro's HPC platforms. 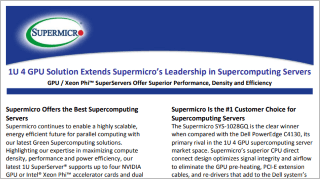 Engineering, scientific and research fields can dramatically accelerate application performance with minimal investment in development with Supermicro's Intel Coprocessor-based supercomputing solutions.